I've read this forum a couple times through and found a couple decent threads on this...but nothing with a super definitive answer (and some mixed answers yes vs no) so I'm just starting my own thread to get a clear answer. I have a 1987 4 door caprice and it has the weak little 7.5" rear end. I'm really wanting to put an 8.5" rear end in. I know that the 94-96 impala ss is the best swap option, but I have searched for a long time and can't find one anywhere even remotely near me. I'm hoping someone can help me with a list of 8.5 that can be swapped and what exactly it takes to swap them. What vehichles can I look for. G body?? A body?? My 8.5 came out of a 1991 Buick RoadMaster w/3.08 gears. I installed 3.73 gears, plus new axles, etc. 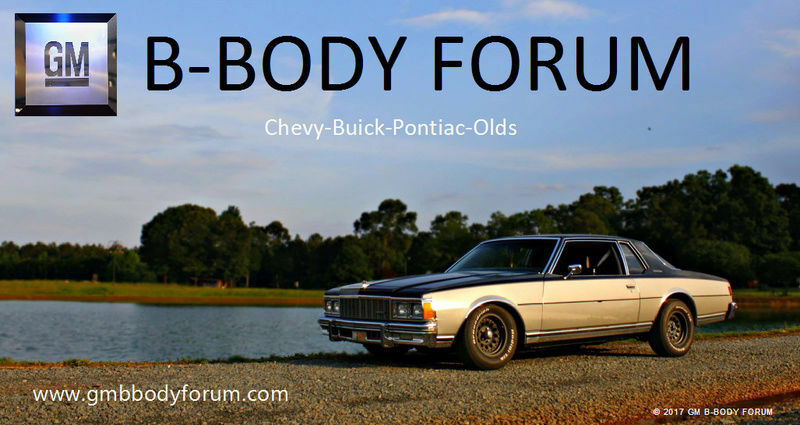 Most of the B-Body cars(Oldsmobile, Pontiac and Buick) used the large 8.5. Check the salvage yards. It cost me $175.00 and it came with the rear sway bar.